Breezy and The Game aren't here for homophobia. Chris Brown and The Game have clapped back at fans who use homophobic slurs on social media. 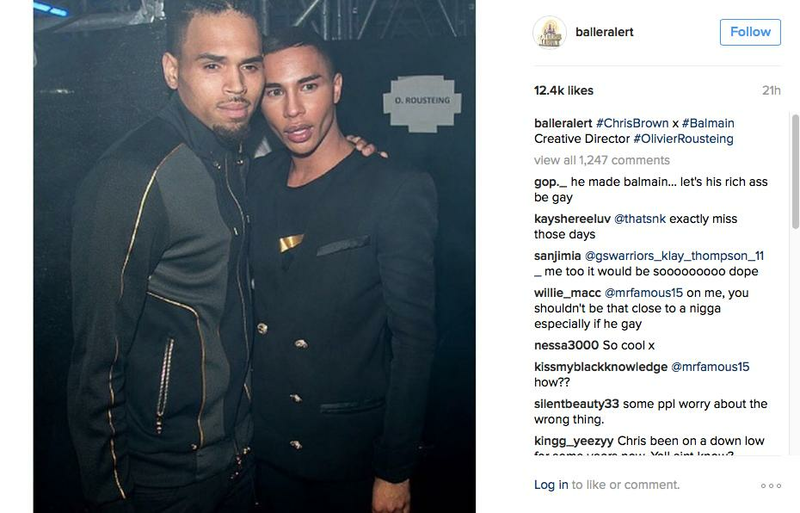 Breezy initially responded after people began plaguing the comments section of an Instagram photo he recently took with French fashion designer Olivier Rousteing. Some users labelled the pair as "f*gs" and "b*tches". However Breezy was having none of it. “The crazy thing is that y’all used to call me homophobic,” he said. The Game, who spotted the incident, also got involved. “Lol.. People kill me homie !!! Because two successful people take a quick photo opp together & one of them is gay/or not that means the other person is gay too!!!" he said. "This guy is the head of BALMAIN… Most of you n*ggas ain’t even employee of the month at wing stop, uncomfortable in your own skin using HATE to hide behind your own insecurities…" he continued.